Yamaha YSP-2200 review | What Hi-Fi? 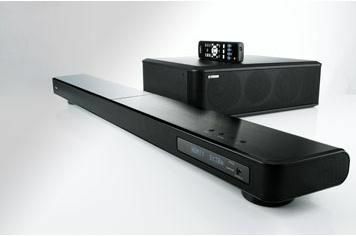 The Yamaha YSP-2200 soundbar is a fine example of the industry responding to people's needs. Although millions of Britons have opted to buy a bigger, slimmer, sharper and smarter television over the past five years, home cinema has proven to be a harder sell. It appears that no matter how attractive the allure of surround sound, too many buyers have been put off by the possible cost, complexity and domestic disruption it can cause. Now, finally, things might be set to change, thanks to products like the Yamaha YSP-2200, the latest iteration of a radical concept spawned over a decade ago by a little-known British company, 1 Limited (now Cambridge Mechatronics). The company's founder Dr Tony Hooley, aimed to make home cinema “as simple as plugging a product into the mains”. And he delivered on his promise, too: we first heard his ‘Digital Sound Projector' concept back in 2002 at the CEDIA show, and were stunned by its ability to fill a room with sound from just one visible speaker. Here, at last, was a system that really worked. The trouble was, it wasn't cheap: the first licensed unit, Pioneer's PDSP-1, cost a cool £25,000 at its launch at 2003. Yamaha's new YSP-2200, by contrast, costs a more modest £800, making it far more attainable product than its five-figure forebear – and just as remarkable an achievement. That's because the new Yamaha is a home cinema system any living room can accommodate and any buyer can install. And that convenience doesn't come at a cost to performance, either: the Yamaha YSP-2200 delivers proper surround sound – not a flaccid facsimile of the home cinema experience. Yet it's light, small, discreet, easy to unpack, simple to connect and foolproof to configure. The Yamaha stands under 9cm high, and unlike other Yamaha YSP models, it doesn't include any larger mid/bass drivers. Instead, low-frequencies are handled by its matching passive subwoofer, powered by speaker cable from the amplification built into the main unit. It's this shallow profile that makes the unit even easier to accommodate than its siblings: it can simply be placed on most TV racks without blocking the screen itself, although thoughtfully, Yamaha also includes a simple infra-red remote repeater to ensure that, should your set's remote sensor become obscured, you'll still retain full control. The subwoofer, meanwhile, can be orientated horizontally or vertically as you like – detachable feet support either approach – and Yamaha suggests the YSP-2200 can even be installed into your TV rack if you're determined to minimise clutter. This plonk-down-and-play simplicity is complemented by a decent array of socketry, fully automatic calibration via a microphone (supplied with its own folding stand to make your life even easier) and support for every cause célèbre in modern home cinema, from HD Audio and iPod connectivity to 3D video. If you have a Panasonic Viera TV, the Yamaha YSP-2200's HDMI sockets will even talk to the set and respond to remote commands from it, turning off and on in sync. Impressive. But not nearly as impressive as the way the YSP-2200 performs. Even in one of our large, acoustically treated testing rooms, it musters ample scale plus genuine integration, its separate bass enclosure proving no handicap to its cohesion. With Inception's majestically powerful score, the Yamaha shines, retaining full control over dynamics, avoiding high-frequency brittleness and, when necessary, powering out the bass with genuine enthusiasm. It can steer sound expertly too, with its soundfield carefully placing each effect from The Dark Knight's Batpod sequence into its relevant position within the room. Perhaps most remarkable is the character the YSP-2200 imparts to voices: Billy Crudup's narrative to the Dr Manhattan sequence in Watchmen is brilliantly resolved, sounding like the best effort of a much larger and more conventional speaker system. Move the Yamaha to a smaller, more reflective room, and its prowess only increases. Its 7.1-channel processing wraps appropriate soundtracks around you to astonishing effect – with Se7en's DTS-HD MA score, the brooding, menacing atmosphere seems almost unfathomably consistent and immersive given that its point of origin is just one, svelte speaker. After all these plaudits, surely there can't be any space left for brickbats? Well, perhaps just one: this is no hi-fi. The Yamaha YSP-2200 can be persuaded to play in stereo, but it's nobody's idea of a musical performer. Best to reserve it for the roles it excels at – and excel it surely does. Eight hundred quid is no small amount of money, of course, but it's a remarkably modest sum to charge for a product that's so obviously shot through with genius.